This article illustrates why we believe PeopleMaps is the best online psychometric test for a range of different applications. We have been helping people with their career development since 2001. It was the first personality report written specifically for job seekers. The first and most crucial step to career development is knowing what your ideal career looks like. Most people find themselves in the wrong career and hate it. This is mostly a personality issue. This is why a job that one person loves, another hates. It’s mostly about personality and little about skills or experience. Skills we can learn if we are in the right job in the first place. However if it’s a poor match for our psychometric then it’s unlikely to work out in the long run. We have taken the report a step further and developed an entire online, personality centric, career coaching program. We have helped numerous individuals discover their ideal job and this is why we believe that this is the Best Psychometric Test Online. But what if you are recruiting. Perhaps you are a recruitment agency or a HR manager or a line manager. Well PeopleMaps has developed a system dedicated to helping recruiters make better hiring decisions. We provide you with a large library of topics that you can assemble into a report. You may have a different design for each role if you like. This is preferable to having a one size fits all approach. As a recruiters there are certain areas you need to focus on for each job role. For sales roles you will want to know about the candidates sales style. For customer service you may want to know if they are naturally patient. 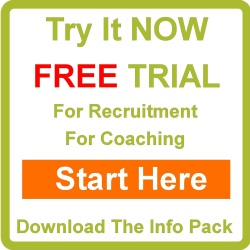 With PeopleMaps you get to decide which is why we believe it is the best psychometric test online for recruiters. Once you have hired someone, it’s critical that line managers discover quickly how to get the best out of them. PeopleMaps has created a library of topics dedicated to helping line managers understand their existing staff and create an environment that they may thrive in. Great line managers know how to get the best from each of their staff. With PeopleMaps Managers Library we believe that all managers can become great managers. Each report explains what each staff members requires if they are to thrive. Managers can then make the small adjustments for each staff member to ensure the very best results. This is why we believe PeopleMaps is the best psychometric test online for line managers. And if you are a coach or if you work with people in any way with personal development then you need look no further than the coaches library. This provides you with a huge range of personality topics, covering diverse subjects such as relationships and entrepreneurship. Coaches may design a report for each client if they like as there are no cost penalties for ordering small quantities of report designs. This is why we believe that PeopleMaps is the best psychometric test online for coaches. You may also enjoy reading about our free online psychometric test. This has been an article about the Best Psychometric Test Online.